On Match Day in March each year, medical students completing their formal education find out where they are going to continue their training in residency. Similarly, those students completing a residency program are finalizing job opportunities and signing employment agreements. While the employment process probably began several months ago for many residents and fellows, it is now approaching a reality. Thus, I thought this would be a good time for a refresher on what physicians need to consider when joining a physician practice. This is written from the perspective of the physician employee, but, on the flip side, there are similar considerations that need to be addressed by the employer physician practice. Oftentimes the financial terms of an employment opportunity receive the most attention by the physician employee. While such is certainly an important aspect to consider, physicians also need to consider the job responsibilities and time commitment required. What are the work hours? Where are you required to work and/or maintain privileges—just one location or multiple? What are your call coverage responsibilities and are those shared equally with the other physicians in the practice? Do you have the ability to moonlight during your off hours, and if so, who retains the revenue from your moonlighting activities? How many days of paid time off are you permitted? As previously mentioned, oftentimes employees devote a lot of attention to the financial terms of the arrangement. In that regard there are several items to consider. What is the compensation? How is it determined—flat base salary or production-driven compensation based on collections? If it is a base salary, does it increase each year? Is there a bonus incentive and what goals must you achieve in order to receive a bonus? In that regard, ask generally about how often other physicians in the practice meet the incentive goals and the average amount of the bonus for physicians at your level. Are you receiving reimbursement for moving expenses and/or a signing bonus and what are your obligations for repayment of such items upon termination? What are your benefits of employment? Along those lines, do you receive health insurance for you and your family, dental coverage, vision coverage, or a retirement account (and does your employer match/contribute to your retirement account)? What expenses are considered reimbursable and is there an annual cap on the reimbursement? How the employment arrangement may be terminated and by whom is an important aspect to consider. On the one hand, you might appreciate the flexibility to terminate the Agreement on shorter notice if the arrangement is not to your satisfaction, but on the other hand, allowing your employer to terminate you without cause on shorter notice may not be ideal. Give some though as to what balance makes sense for you at this point in your career. Pay attention to whether the practice can limit your ability to work during the notice period, which could impact your salary and/or bonus if either are production-based. Along those same lines, if you are paid based on production, is there a designated collection period post-termination during which the practice will continue to account for your collections and pay you accordingly? Are you responsible for paying for certain practice expenses relating specifically to your employment post-termination? With regard to professional liability insurance, who will pay for the tail coverage? Your subsequent employer will more than likely require a tail policy providing coverage for previous acts, which can sometimes be expensive. this notice for you, the practice should provide you with contact information for your active patients so that you can send the required notice. If the practice will provide this notice for you (so as to avoid giving you a patient list), will you have the ability to review the notice and agree upon it? Who will pay the cost of such notice and when will it be mailed? becoming an owner. The opportunity to become an owner can be addressed in the initial employment agreement. At what point in your career are you entitled to buy-in to the practice? Is it based on years of employment or profitability? What is the buy-in price? How many shares/units are you entitled to purchase? Will you be an equal owner or minority owner? Will you be required to personally guarantee any debts of the practice? There are obviously additional items to consider when joining a physician practice, but this article should provide a good start. Regardless, make sure that the most important details are included in a written employment agreement and contractually binding on the parties. 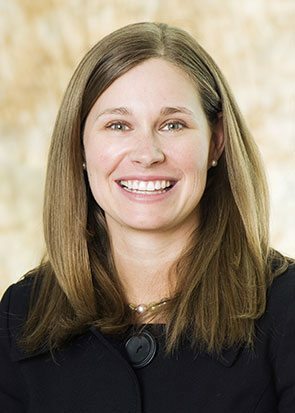 Download the article, “Considerations Upon Joining a Physician Practice” written by Kelli Carpenter Fleming.